Lagadapati Rajagopal was projected as 'Telangana Drohi' by TRS during the Statehood Movement for sincerely fighting Samaikyandhra. During his second term as Vijayawada MP, Lagadapati tried to convey to the people TRS doesn't mean Telangana and they are different. In the end, KCR & Co., had the last laugh with the formation of new state. 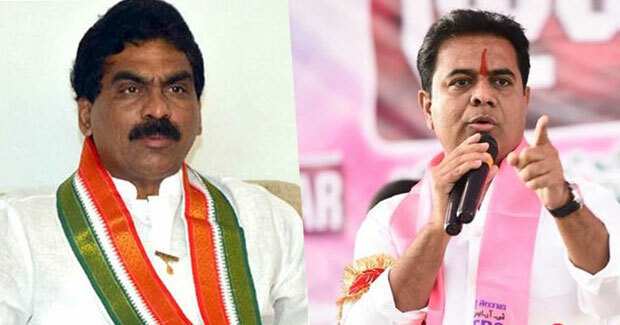 Ahead of Telangana Assembly Polls, WhatsApp Messages exchanged by KTR and Lagadapti became a sensation. While KTR shared the screenshots of WhatsApp messages, Lagadapati offered a detailed explanation on the remarks made by the IT Minister after he hinted the defeat of TRS. When did Telangana Drohi became a friend of KTR? Just because the Survey results didn't favour TRS, Lagadapati has become Telangana Drohi yet again?That's how TRS-mark politics were like! Lagadapati recalled KTR requesting him to conduct survey in 37 constituencies from August 25th to September 10th. While KTR reacted positively when the survey results were favourable to TRS two months ago, He challenged Lagadapati that Survey will be proven wrong when prediction pointed out the decline of TRS graph. The Former MP asks KTR to realize that nobody could be in power forever and victory/defeat are common in politics.